For a Northern Italian like me, Pesto is serious business. 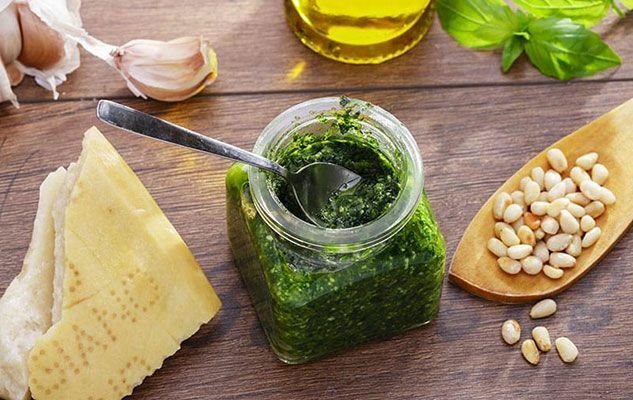 Did you know that the original version, known as ‘Pesto alla Genovese’, is in the process of obtaining a Protected Designation of Origin by the European Union? The eligibility criteria for this is that it must be prepared with small-leaf Genoese basil, grown in gardens exposed to the Mediterranean breeze. Having said this, it’s also possible to use other varieties, such as the larger-leafed one with a faint minty aroma that is commonly found in Canada. Be sure to select the softest leaves that have been picked before the plant is in bloom. Although the mixture is traditionally crushed (‘pestare’ in Italian) with a wooden pestle in a marble mortar, a food processor is much more convenient. Originally published in the Journal de Montréal on August 12, 2006.